The circles represent actors, the diamonds represent movies they have been in. Pink is for actresses and blue is for actors. The numbers represent the numbers in their name: First, Last. Question marks indicate the number in their name is 3,4,6, or 9 letters. The center actress is what we are after. Note there are no clues for her name, but she has been in 13 movies. All movies in this puzzle are in the last century (2000-now) and are not shorts or documentaries. Personally, I can’t imagine solving this puzzle without computer aid. Just ask yourself, how many actresses do you know with 7 letters in their last name? Uh…. My language of choice to solve this is going to be python. The first thing we will need though, is a copy of the IMDB. Luckily, the IMDB provides alternative interfaces besides their web interface, including plain text file downloads! And now we need the python-imdbpy package. 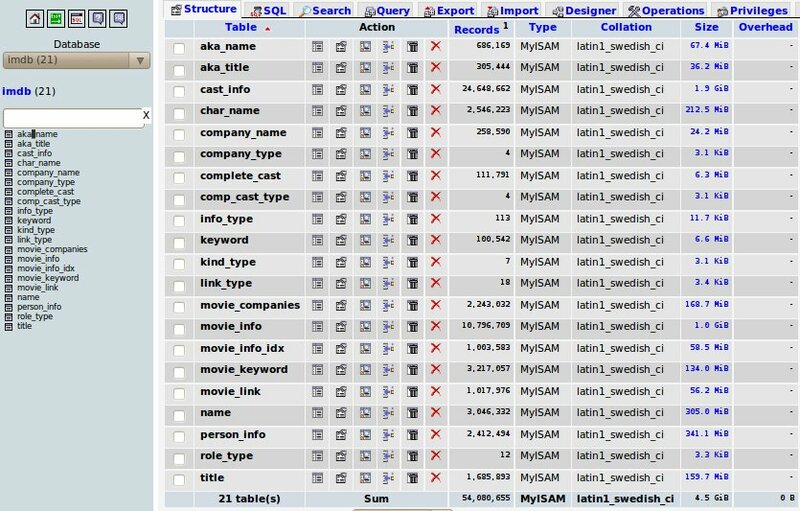 It comes with a script that will allow you to import these imdb downloads into local mysql tables. For exact commands you can check out my README file, which includes exact wget, mysql, and python commands to import the database locally. So now we have lists for the possibilities of each actor. In my implementation I actually used two programs, one the create these lists (find-actorpossibilities.py) and then a second program to utilize these lists to solve the problem (startatthecenter.py) I will now talk about the second one. print "I HAZ A SOLUTION:"
print "We are recursing with " + actorname(actress) + " (" + str(actress) + ")"
Notice we have to send copies of the list into the function because lists are mutable, and we need each branch of the recursive tree to have its own copy of the list. That is pretty much it. Just let it recurse through all the actors for a couple of hours. There are a couple of false positives, which actually may be technically correct (I didn’t thoroughly check them) due to foreign films, documentaries, etc. Be sure to read the README for the prerequisites you will need. Also check out my wiki page for one possible complete solution and more information.